If you’ve ever been in one of these old Minis, you know just quite how small and tinny they are. By dint of dimension, basically as wide as it is long, with the wheels pushed to the edges of the car, it is quite a competent racing car. Sure, they don’t have a lot of power in comparison to something like a big block Corvette of the same era, but they’re just so nimble. 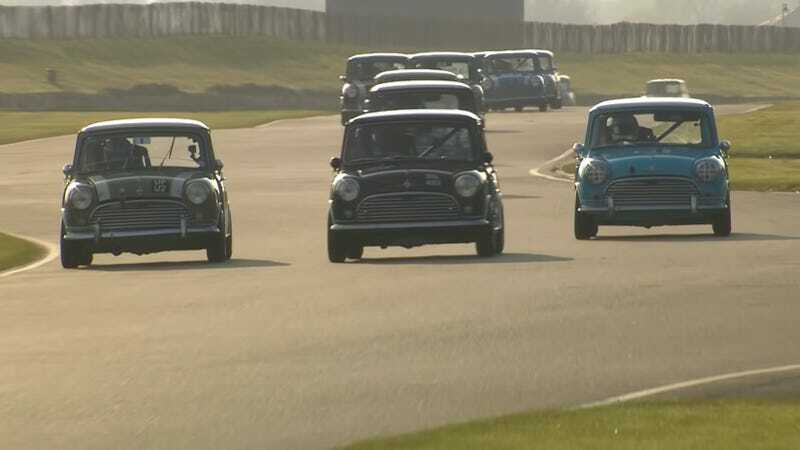 Because they’re so small and grippy, the Mini group at Goodwood is a favorite of mine every year. Goodwood is such a small and narrow circuit that it can prove quite difficult to pass here. Toss a bunch of tiny Minis on the pavement, however, and you’ve got plenty of room for them to go three or even four wide. Without a lot of power, it’s hard to just motor away from an opponent. Even using a slipstream pass, it’s difficult to pull away from the car immediately behind, because they’re all identically prepped and don’t really go all that fast anyway. These Minis require a bit of drift to get them around the corner quickly, to keep the revs and speed up, and to see a half dozen of them do so in easy synchronicity is a true joy. You’d think that after spending all weekend watching Goodwood Members’ Meeting videos on YouTube, I’d be sick of it by now, but no. 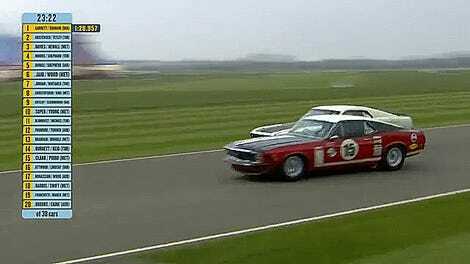 It’s a never ending supply of totally rad vintage racing.